I LOVE LOVE these little Valentine cards I made for my son's classmates. 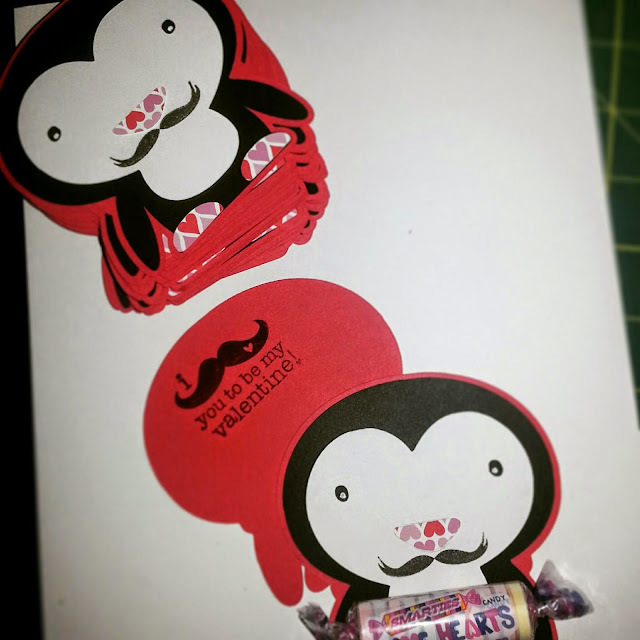 They are 29 little penguins from Cricut's Create a Critter with a mustache stamp. 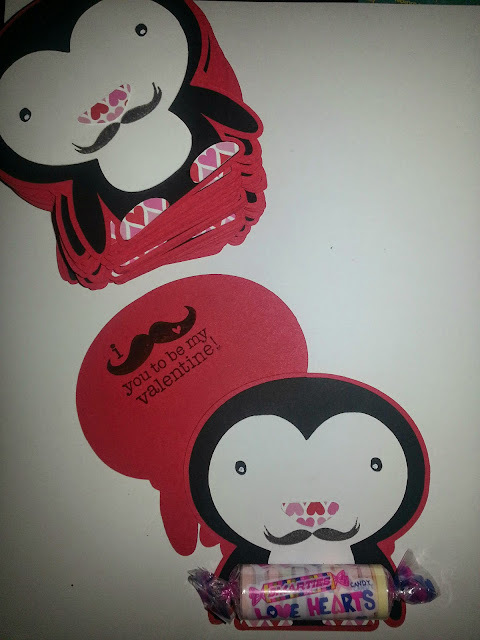 The back of the card has a stamp on it that says, "I mustache you to be my valentine!" They have large smarties-Love Hearts on them as a little treat, and they are signed by my son with his adorable signature.